Agency is reflected in the decisions children make, and these decisions are never ‘free’ choices but constrained by the environment. AIWG-RCCR launched this research to document the options which children choose, in their given context, and the organic structures that support these options. The study is divided into two phases. In the first phase, a schedule was administered to over 2,000 children, who had spent more than one month at the station, at 127 railway stations across India, in collaboration with 40 child rights groups and their specially oriented workers. The questionnaire was embedded into an Application named ‘ChildSpeak’ designed for mobile phones and tablets to ensure objectivity, data protection, and rapid data entry and analysis. 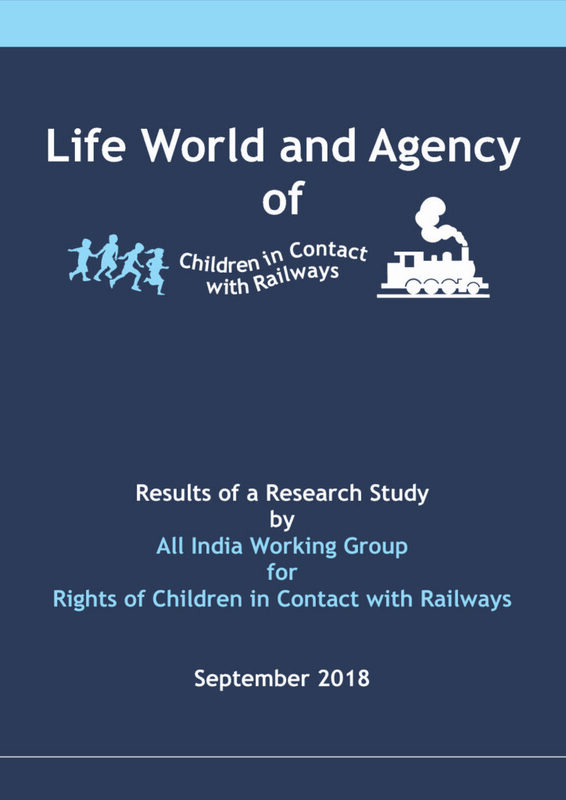 In the second phase, detailed histories of 48 selected children, who had spent more than six months in contact with the railways, were collected around issues emerging from the first phase, by a set of ten Core and Academic Researchers who were carefully selected to provide a comfortable environment for the children to speak while fully respecting their privacy. A four-day orientation workshop was held at Nagpur with these Researchers.